Jean Temme sent me this photo of her newly finished Christmas quilt. She took elements from two of our Christmas books and mashed them up into this very cute quilt. Way to go, Jean! I love it! FYI: the Santa, sled, reindeer and stars are from Welcome To The North Pole. The rest of the quilt is from Quilt A New Christmas, which is out of print. I still have some copies in stock so if you want this book, don’t wait too long. This entry was posted in Christmas, Christmas quilt, Design and tagged christmas quilt, show and tell by Becky Goldsmith. Bookmark the permalink. 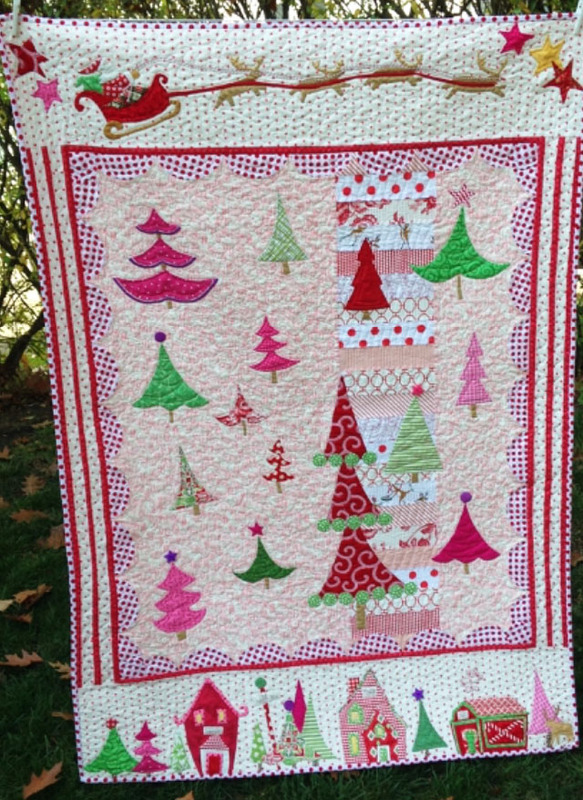 very cute – and the pink on Christmas works very well in your quilt. Now where is my North Pole UFO box??? ?